5-Day Summit Begins in Davos, Switzerland By Aishah Schwartz January 26, 2006 U.S. Newswire reports that Muslim American Society (MAS) Freedom Foundation Executive Director, Mahdi Bray, has joined world leaders, academicians, activists and economists from over 89 countries, in Davos, Switzerland, as an invited speaker for the 2006 Annual World Economic Forum (WEF). The forum is designed as a platform for world leaders to brainstorm on key issues facing the globe. Issues on the 2006 WEF agenda include escalating oil prices, Iran's nuclear ambitions, new business models and the shifting balance of power in Asia. In a statement released Wednesday, Bray stated that central to his agenda is promoting the concept of universal standards for global human rights. "We discuss issues concerning global economics and global terrorism, but little is said about universal standards for global justice," said Bray. "It's my hope that the religious caucus of world leaders who are here would use their voices in concert to promote this important concept," he added. Bray's talking points will more specifically focus on social and economic justice, especially among developing nations, human rights and global justice, the growth of Islamophobia in Europe, conflict resolution and arms proliferation in Africa, and U.S. relations towards the Muslim world. As the WEF opened on Wednesday, South Africa lost forefront status to China and India as they touted booming economies to world business and political leaders. Day one results were announced late in the day as WEF Founder and Executive Chairman, Klaus Schwab, signed an agreement with China to establish a WEF office in Beijing that will lead to an annual global industry summit in the Chinese capital as of 2007. Schwab announced the agreement according to Asia news sources, saying, "We have chosen China for our Global Industry Summit because we believe China is well positioned to serve as a global hub for working with the next generation of corporate champions." The announcement is made despite last September's report released by WEF chief economist, Augusto Lopez-Claros, stating that China needs to build up the institutional underpinnings of its economy to strengthen its competitiveness. "It needs to improve the quality of its educational system and the delivery of improved public health services to the population. Education is key for developing the future innovation potential of the country and the challenges here are huge. There is also a large technology gap with respect to the more developed industrial economies; so the process of modernization will have to continue," he said. Opponents of the summit, who claim it is merely a forum used by the "rich and powerful" to impose their own interests of power to the detriment of the Third World population, have gathered directly outside Davos. It is the first time in the 34-year history of the summit that demonstrations have been allowed at this proximity. Protesters argue that the forum is merely a gathering of the elite and powerful, meeting to dictate political priorities and discuss big business deals, the consequence of which can be seen on a daily basis in the war against Iraq, the poverty and hunger in numerous countries of the developing South, the destruction of social security safety nets in the countries of the industrialized North, massive unemployment, environmental destruction and the unprecedented profits made by transitional corporations. Arguments, according to news sources, set forth by Iris Widmer of the Swiss affiliate offices of the Association for the Taxation of Financial Transactions for the Aid of Citizens (ATTAC). Reports indicate that demonstrations in opposition of the WEF are expected to continue throughout the remainder of the week as protests migrate from Berne, the Swiss capital, to, Basel, St. Gallen, Lucerne, Chur, Thun and Lugano. 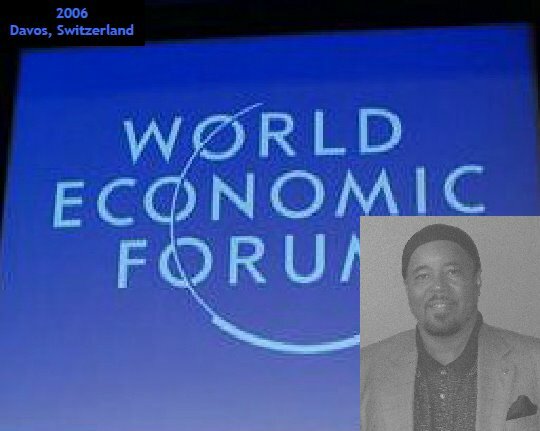 Founded in 1971, in Geneva, the WEF propagates a commitment to "improving the state of the world." Capitalists and activists, most of who are at odds with one another, seem to find some middle ground called compassionate capitalism and equitable globalization as they convene for the annual international forum. The WEF is known as the most influential podium in the world, for which CEO's feverishly lobby to get tickets granting them the highly coveted status of guest speaker. The Freedom Foundation is the public affairs arm of the Muslim American Society (MAS), a national grassroots religious, social, and educational organization. MAS is America's largest grassroots Muslim organization with over 50 chapters nationwide. Learn more at http://www.masnet.org. Copyright © 2006 Aishah Schwartz Permission is granted to circulate among private individuals and groups, to post on Internet sites and to publish in full text and subject title in not-for-profit publications. Contact author for all other rights, which are reserved. SURVEY: You're Back from Hajj...Now What? QUIZ: Which Religion is the Right One For YOU? Al-Jamarat...The Rest of the Story! ANNOUNCING: The New 'ear' Logo! Eid Greetings from Alexandria, Egypt! Heaven...The Rest of the Story!